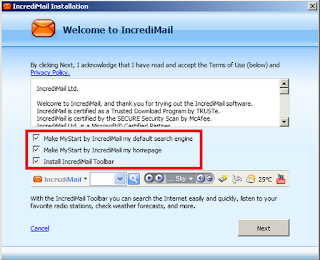 Mystart by Incredibar is a potentially unwanted application which gets installed as an add-on with some other programs like Incredimail. Most of the readers think that it is a virus but it's not. It is a free toolbar like Babylon or Searchqu. The worse behavior of this toolbars is once it gets installed on the computer, it will affect the browsing experience of the users. 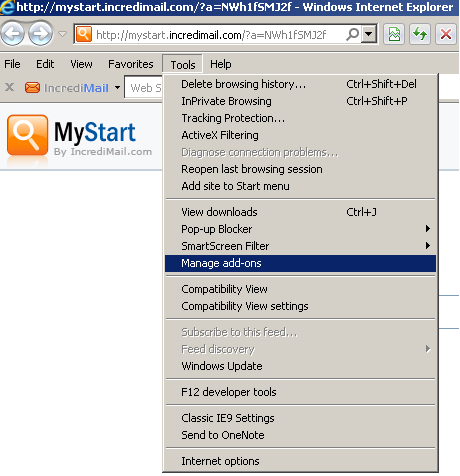 This toolbar causes unexpected web browser crashes, takes over search engine and the browser home page as http://mystart.incredibar.com/. It also redirects search results to their own search engine. Hence it is categorized as browser hijackers. That is the reason most of the users are concerned about it. Here I would like to share you the step by step instructions to remove this tool bar from popular browsers. MyStart by IncrediBar comes bundled with freeware and shareware programs. Most of the time, it allows you to select the add-ons that you wish to install. 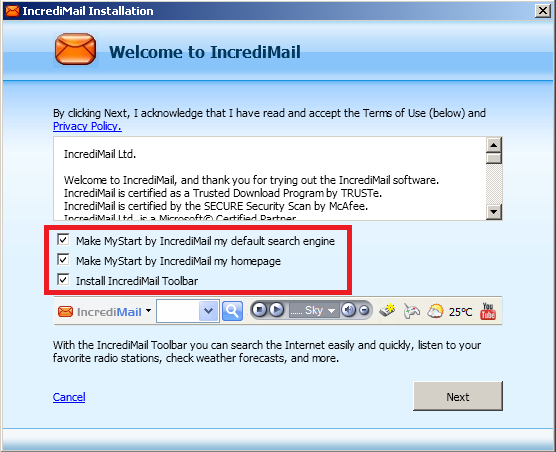 IncrediBar toolbar can be uninstalled just by going to Control Panel and selecting Add/Remove Programs. 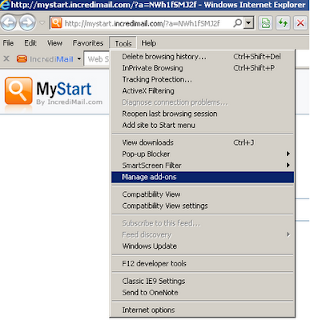 To remove MyStart by IncrediBar in Internet Explorer you need to manually remove the MyStart search engine provider and restore your default home page. 1. Open Internet Explorer. Go to Tools → Manage Add-ons. Open IE and go to ‘Tools ‘→ ‘Internet Options’ → Select ‘General’ tab. 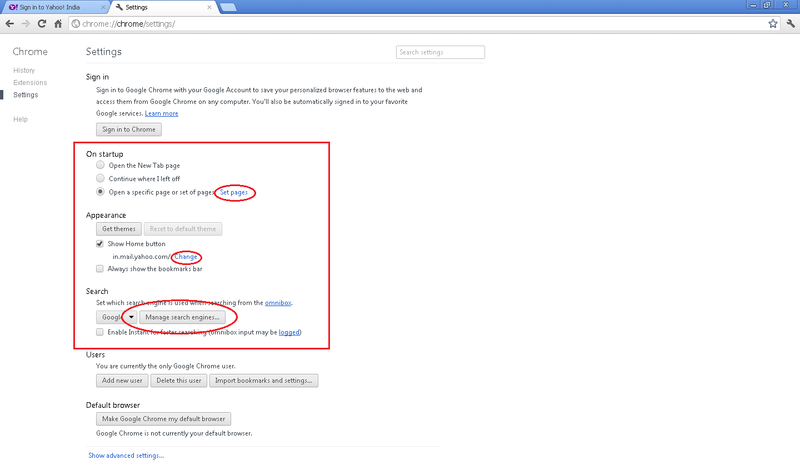 Click ‘Use default’ or enter your own website name, google.com or other instead of mystart.incredimail.com. Finally, click ‘OK’ to save the changes. 1. Click on Customize and control Google Chrome icon. Go to Tools → Extensions. 3. Then reset the home page and search engine by following steps. 1. 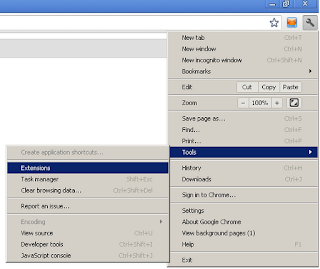 Click on the icon ‘Customize and control Google Chrome’, select ‘settings. 2. 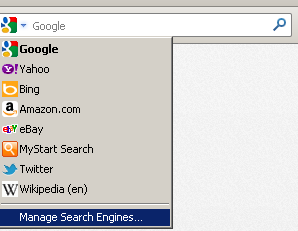 Click the ‘Manage search engine’ button and choose ‘Google’ and make it your default search engine. 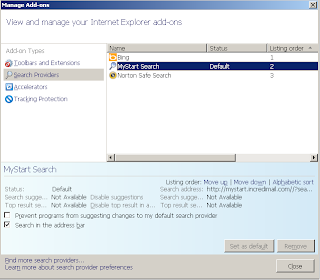 Then remove MyStart Search. 3. 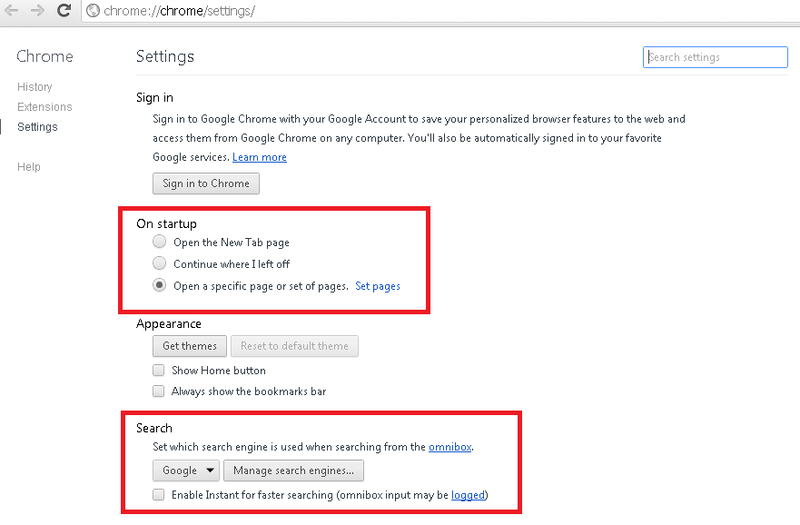 To set a home page, Click the wrench icon on the browser toolbar and Select Settings. Under Appearance, put a tick mark on Show Home button and change the home page. Also set Open specific pages when you open Chrome. Go to the "On startup" section and click "Set pages" to enter the web addresses. 1. Open Mozilla Firefox. Go to Tools → Add-ons. 2. Select Extensions. Remove IncrediBar toolbar. Close the window. 4. Remove MyStart Search from the list . Click OK to save changes. Open Mozilla Firefox, go ‘Tools’ → Options’. Finally, reset the startup homepage or change it to google.com instead of mystart.incredimail.com under the ‘General’ tab. 6. 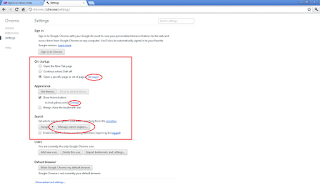 In the URL address bar, type about:config and hit Enter. And click I'll be careful, I promise! to continue. There you can see all the preferences that were changed by IncrediBar toolbar. Right click on the each preference and select reset.